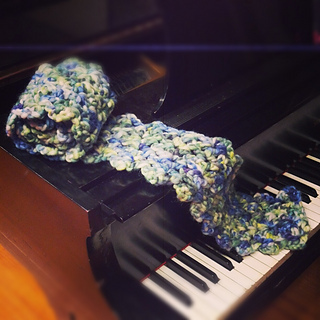 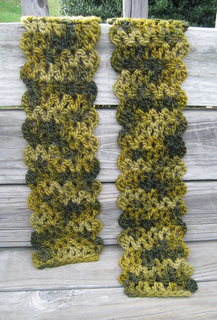 This scarf is an all over chunky/lacey pattern with a scalloped edge. 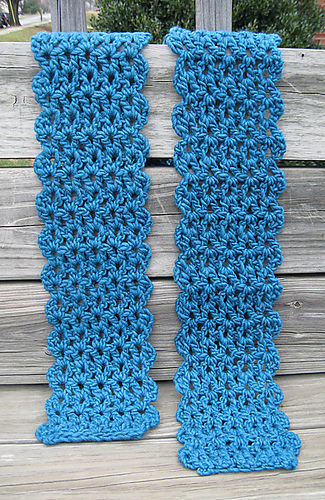 No need to reserve any yarn at the end, the beautiful edge is made as you finish the scarf. 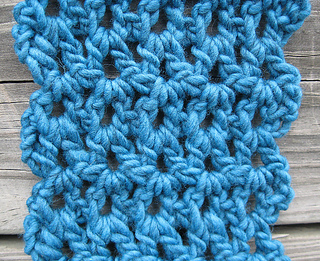 The pattern gives directions for 3 different yarn weights and works for solid and variegated yarns! 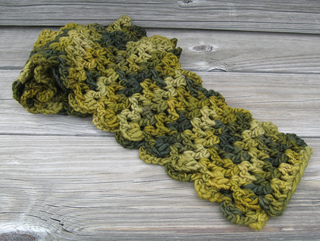 Please PM larcyarn if you have questions!